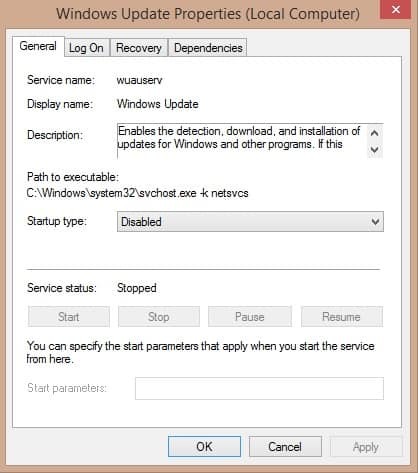 Svchost.exe is a process from Windows Update that usually drain hardware resource of the computer, like RAM and CPU. Here we gonna show how to disable this process and seed up your computer significantly. This applies for Windows 7, 8 and 8.1. 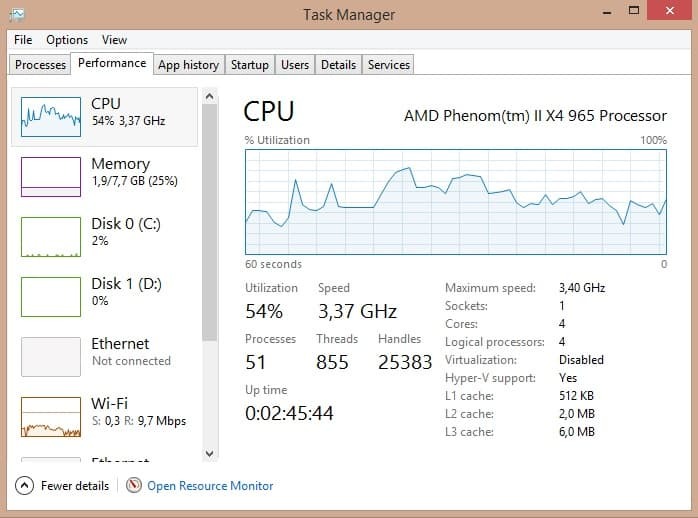 First, by pressing Alt + Ctrl + Delete keys on the keyboard, we start the Task Manager. Here in Performance Tab we can see how much the hardware component are loaded. In the Process Tab, we can see all the processes that running. If svchost.exe is one of the most used, we need to disable it. This is the way how to do it. 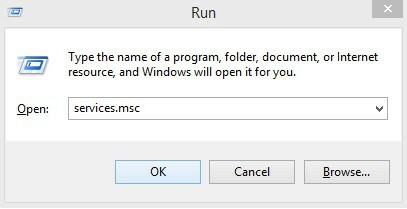 Start run.exe with Windows Button + R or through search section. 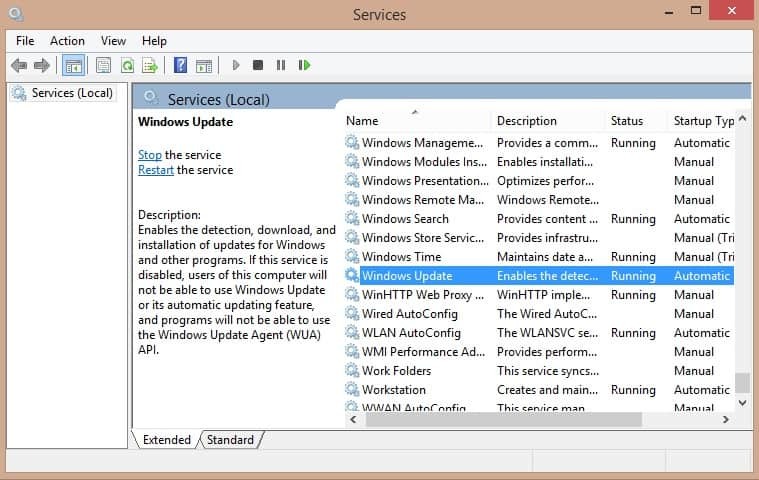 In the run search box type: “services.msc” and click OK.
Scroll down to the Windows Update process and double click. On the next window click on Stop button to stop the process, and select Startup Type to be Disabled. After this restart the computer and you will see the difference. This entry was posted in Maintenance and tagged process, svchost.exe by Tome Trajkov. Bookmark the permalink.